Nintendo is also working on tweaking the massive update required to play online. In a video posted to the company's Nintendo Direct video site in Japan, Nintendo president Satoru Iwata assures gamers that several of the issues brought to light since the Wii U's launch are currently being worked on. Most notably, the long load times and delays that pop up when attempting to switch between applications, which, at present, are long enough to make yourself a nice sandwich. 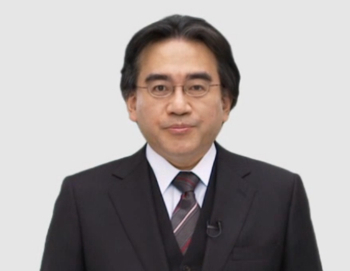 Iwata also notes that the massive update required to unlock online functionality is being worked on. It's unclear whether the update itself will simply be shortened, or if the company is working on ensuring that new Wii U consoles will come with the required software pre-installed. The video also reveals that the company is working on bulking up its supply of the Wii U Premium bundle in Japan. Iwata notes that weekly replenishments of the console are what the company is shooting for.